Nothing screams summer like a good old BBQ! In fact, they’re the best way to celebrate the sunny summer days! But, what can you do this summer if you fancy a BBQ and it’s raining outside? Well, you can have a spin on Play’n Go’s latest slot release Sizzling Spins! Indeed, know that the action of this game takes place on a BBQ grill! And the symbols that are in play are all things you’d grill up in a good BBQ party! What’s more is that this game comes with several great features and below you’ll learn more about them! Sizzling Spins Video Slot has many game features. But let’s talk about the main one which is the Free Spins bonus that comes with nice little add-ons and an extra row of symbols. So, to activate the Free Spins feature, you need to get 3 red chillies on the first, third and fifth reels. After landing the required symbols, you’ll trigger a Pick n’ Click bonus game where you’ll need to pick one of the three chilli to reveal how many Free Spins you’ll play and a multiplier too. But know that the maximum amount of Free rounds the Pick n’ Click bonus can reward you is 12 with a 5x multiplier. What’s more is that during the Free Spins know that any wilds that land in view will not only trigger a Re-Spin, but the Wild symbols will also remain on the reels for the totality of your Free rounds. Sizzling Spins Video Slot also comes with a symbol collection feature which is only triggerable in the Free Spins. Indeed, as you play any Chilli symbols that land on the reels is added to the Sizzling wheel, which is just above the reels. After collecting 3 or more chillies symbols, you’ll trigger an additional multiplier. And you’ll find more information on this feature in the paytable. We sure had lots of fun when we tested Sizzling Spins! Indeed, this game delivers a lot of action! Plus, it also has an excellent rock metal soundtrack that certainly fits well with the theme. All and all, we thought the graphics of this game were pretty simple but yet were superb too! 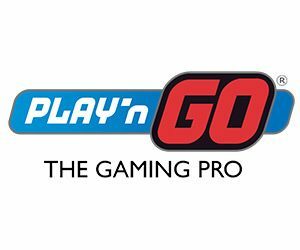 Play’n Go slots are available in many online casinos such as Instacasino, LeoVegas and Casumo. So you should visit them if you wanted to try this hot new release! Good luck and have fun!